This post originally appeared at eighteen25. We live in a world where pink = girlie (and you all know how I feel about that), but I think white can actually be the most feminine color, especially with a little bit of eyelet lace. It’s simple, old fashioned, and just plain pretty. 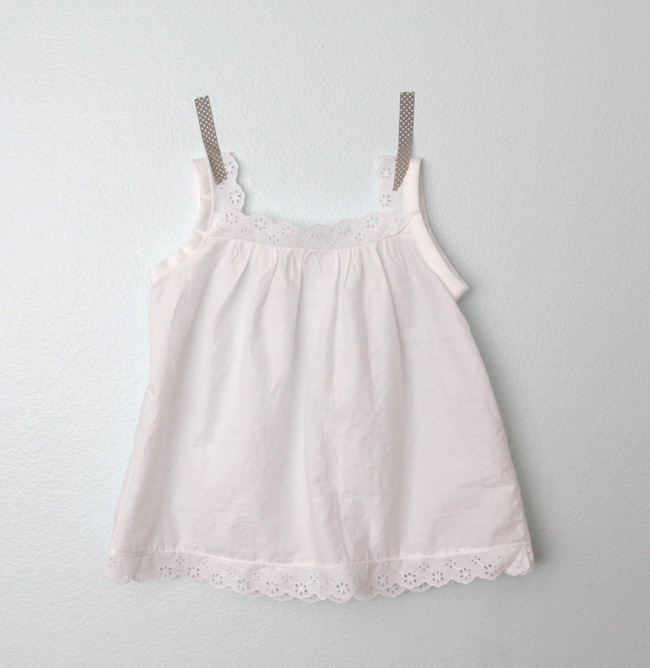 White may not be the most practical color for a two year old, but I adore how it looks, and there’s always bleach, right? 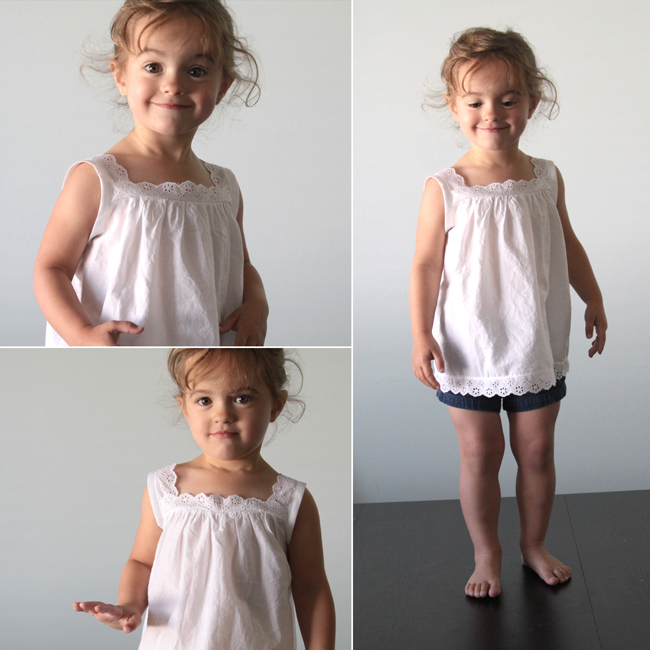 This is an easy to sew blouse with a loose, comfy fit, and I want to dress Lily in it every single day. I’m just a little bit in love with her in this blouse. 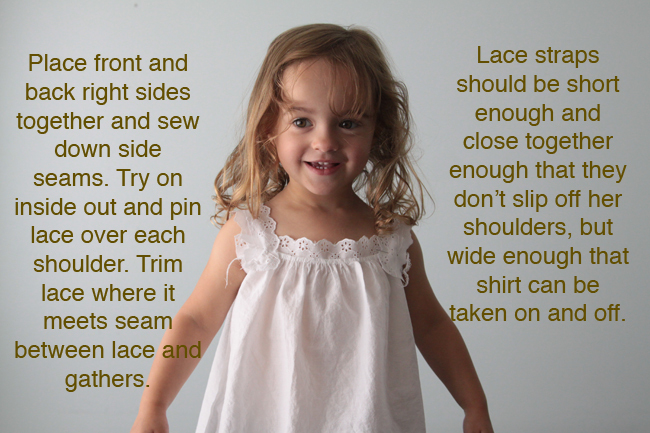 Anyone with basic sewing skills should be able to handle this top and it’s simple to sew in any size you need. The instructions might look long, but that’s just because I tried to show a photo of every single step. Keep reading for more photos and tutorial. If you’d like to make a similar blouse, you’ll want a lightweight woven (not stretchy) fabric. I think mine is a very lightweight muslin (it’s from a thrifted nightgown so I’m not sure). 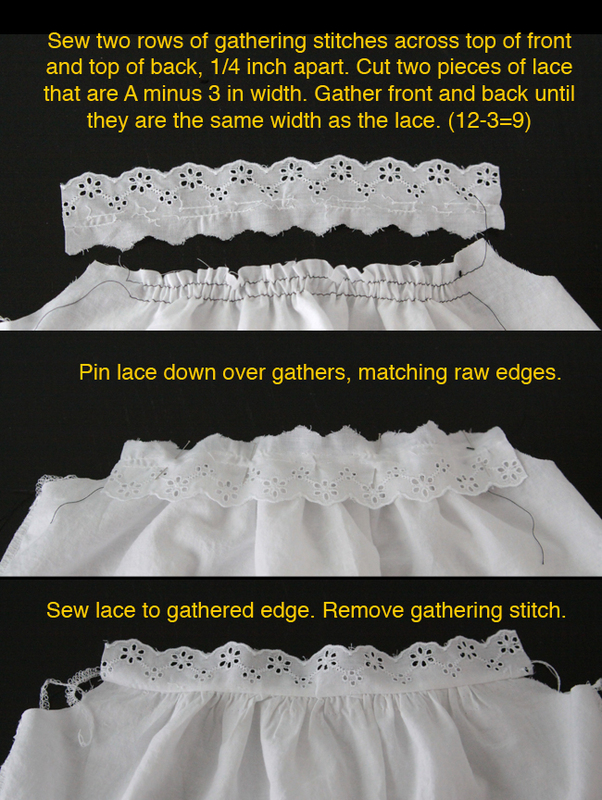 You’ll also need a yard of double fold bias tape and 2-3 yards of flat eyelet lace. The only eyelet lace I could find at Walmart was gathered and I didn’t feel like driving to another store, so I just unpicked the gathers and ironed it flat. 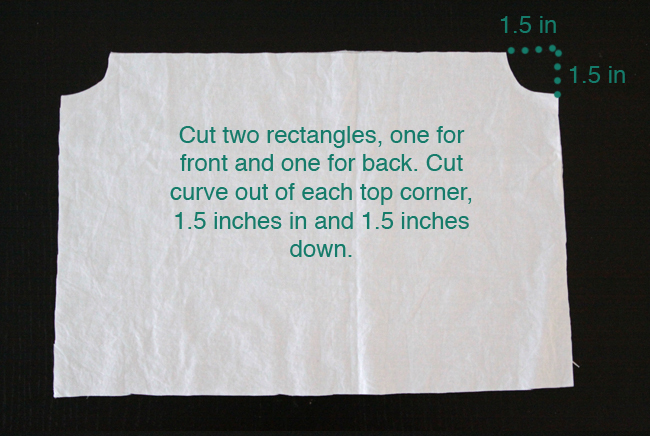 So use the formula to find A, then use A as the shirt length and A times 1.5 as the shirt width. 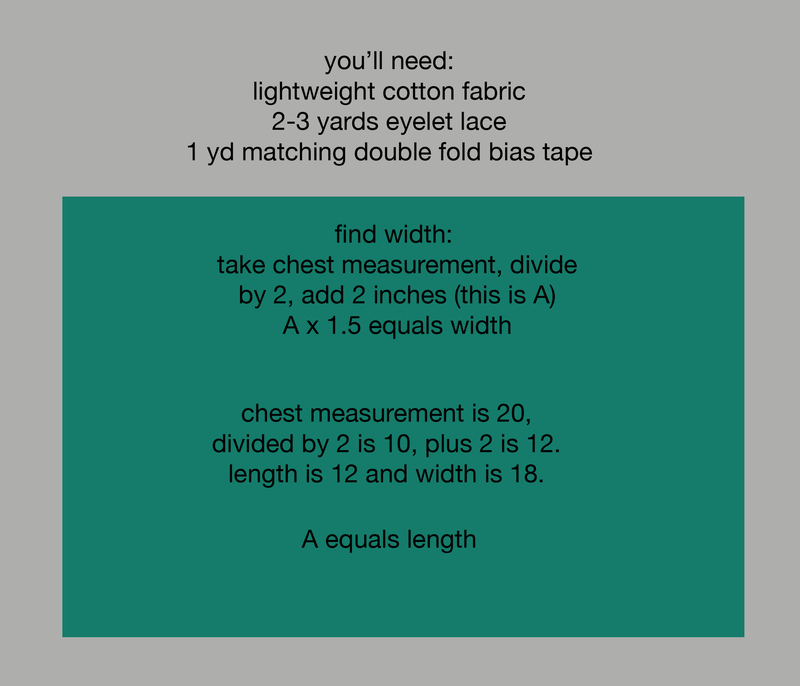 I’ve included the actual measurements I used for a 2T size shirt as a guide from here on out in parenthesis. 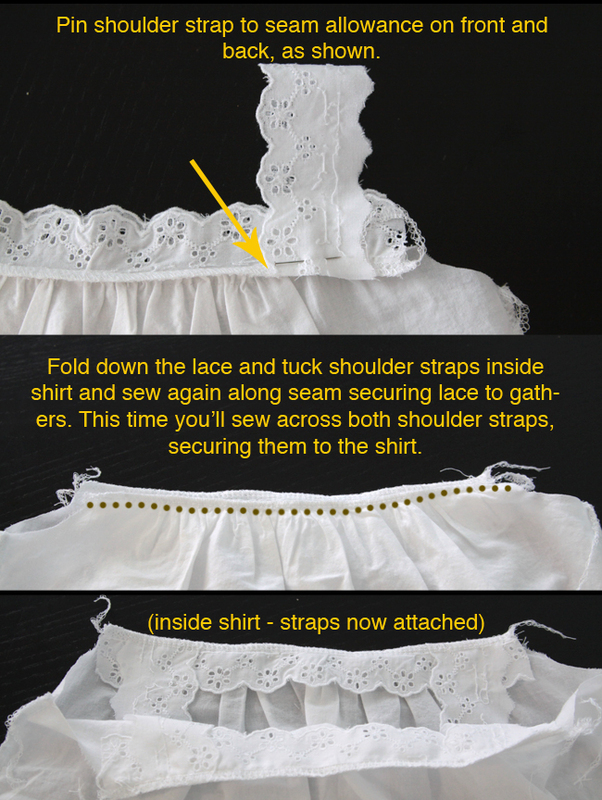 You’ll want to use a half inch seam allowance on all seams, although it’s not a fitte blouse so a little either way wouldn’t matter too much. This top is gorgeous! I’m sure my daughter would have it ruined with fruit juice in about 2.4 seconds, but I really enjoy a more simple look when it comes to kid’s clothes. Great job! 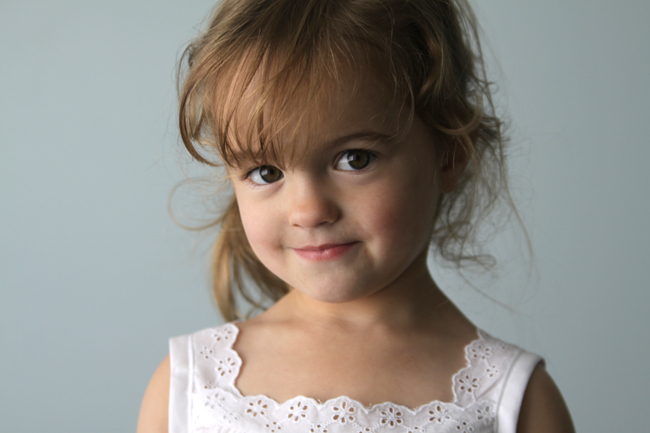 Oh my goodness such a sweet blouse and even sweeter little girl! Sooo cute!!! Think I’ll bust out the sewing machine and give this whirl!!! 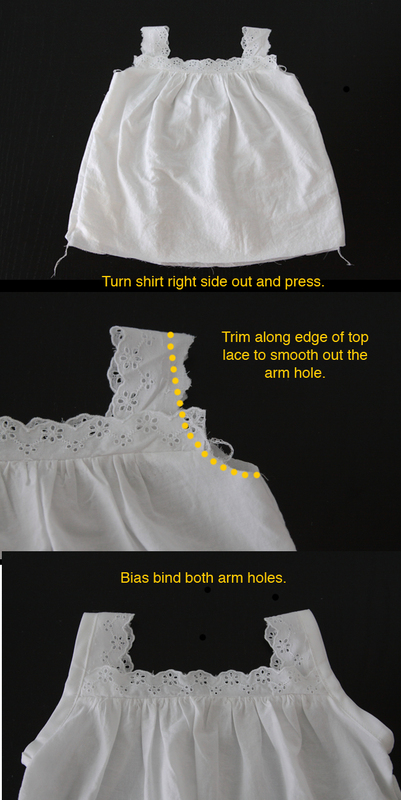 Such a sweet blouse, and a very well done tutorial! Found you via Whipperberry – your site is gorgeous! This is adorable, my daughter would love it! Pinned and will try soon. CUTE I have twin grand daughters, this will be cute on them. LOVE the instructions! All the pictures are great! for a beginner like me are GOLD! 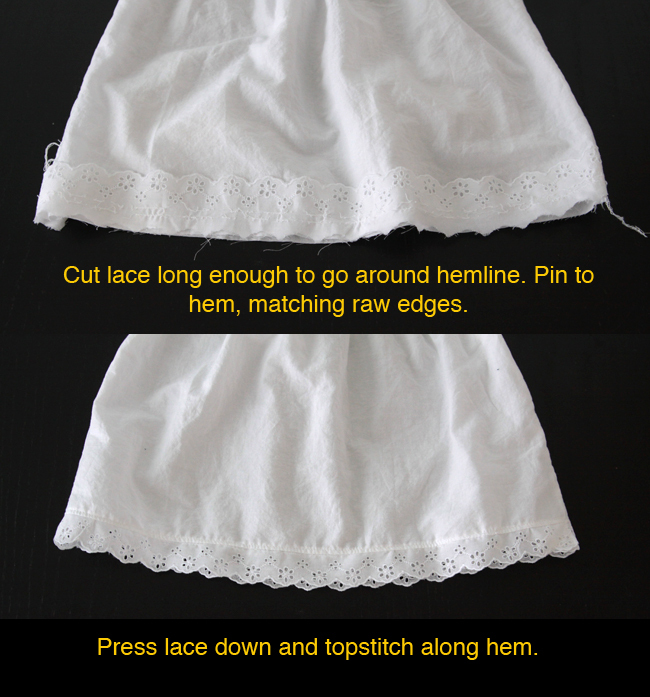 You made it look sew easy that I’ll try to make one. Love this, my son has a 3 a 5 yr old and I want to make this for them for sure. Thanks for sharing this tutorial. It was really easy to follow. I made my daughter one just today. Check it out at instagram.com/melandhercraftiness for a picture of it. What a cutie!!! Love the blouse too. Thank you for sharing!